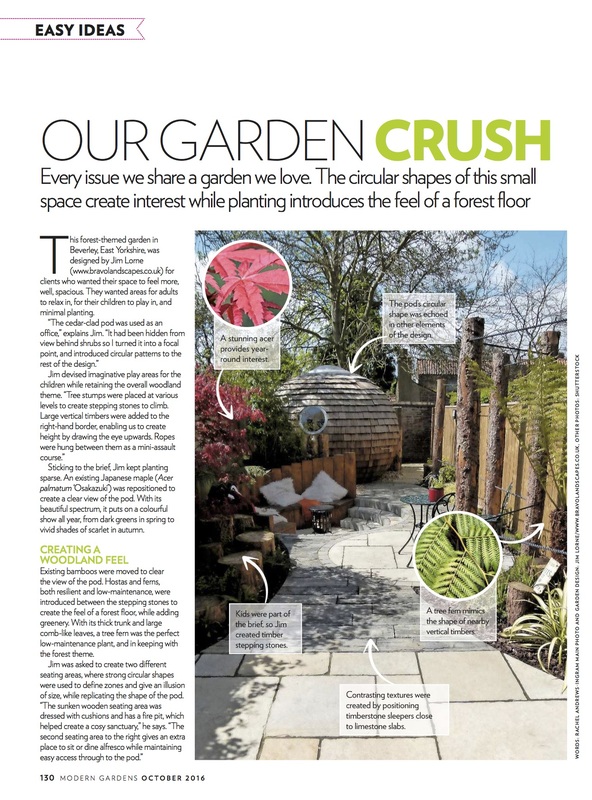 From time to time we get mentioned in the media. 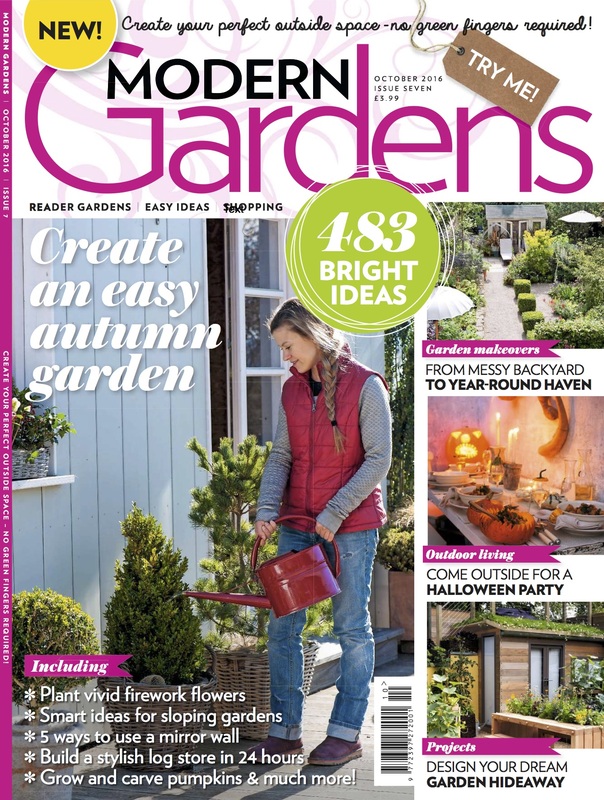 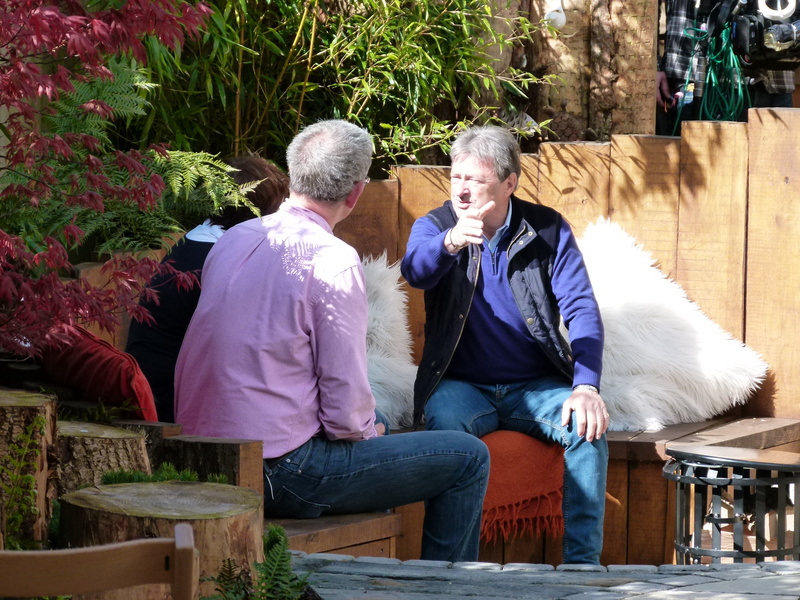 On this page you can catch up with some of our proudest moments in the British media, including Alan Titchmarsh’s Love your Garden. 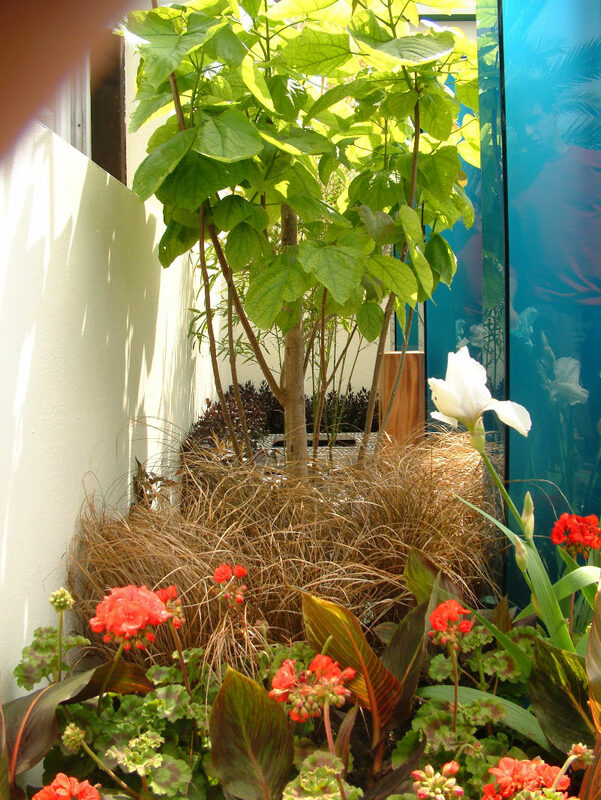 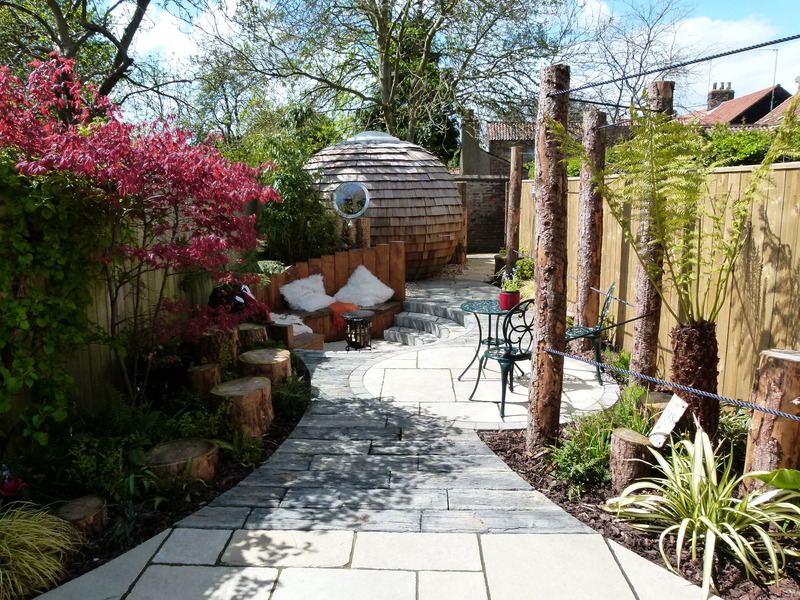 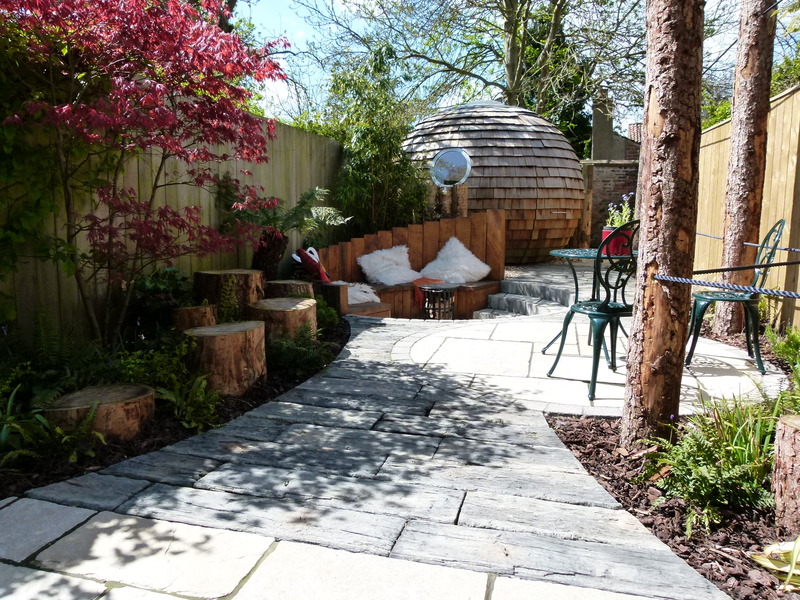 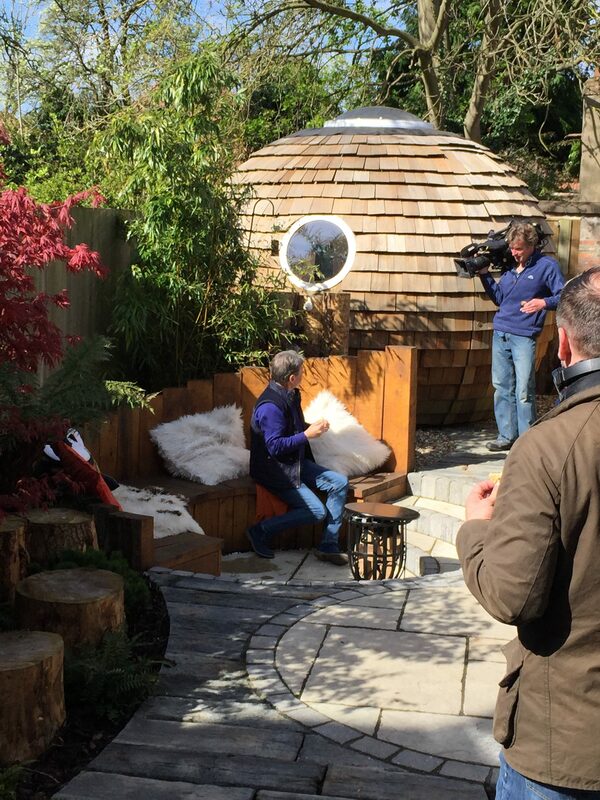 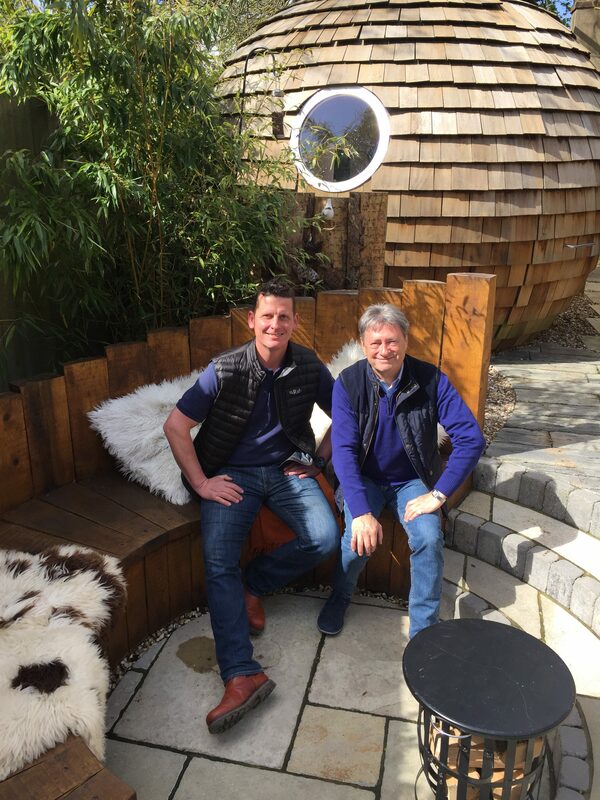 We were very proud to have one of our design and build projects showcased on ITV’s Love Your Garden Programme. 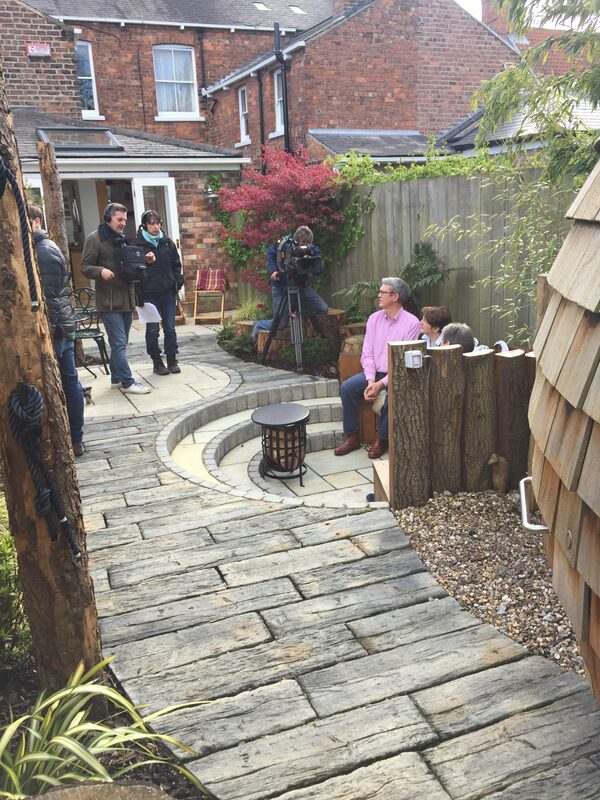 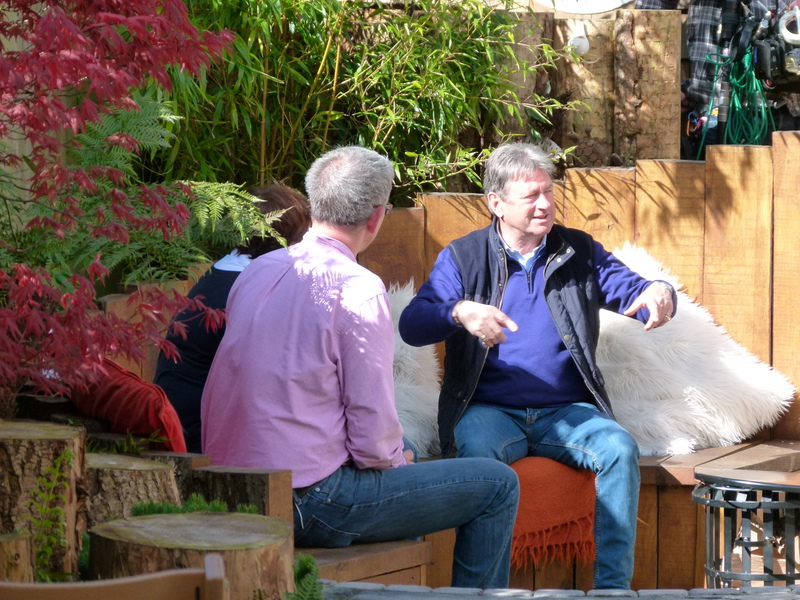 Presented by Alan Titchmarsh, Love Your Garden visited Elspeth and Mark Timmans’ garden in Beverley. 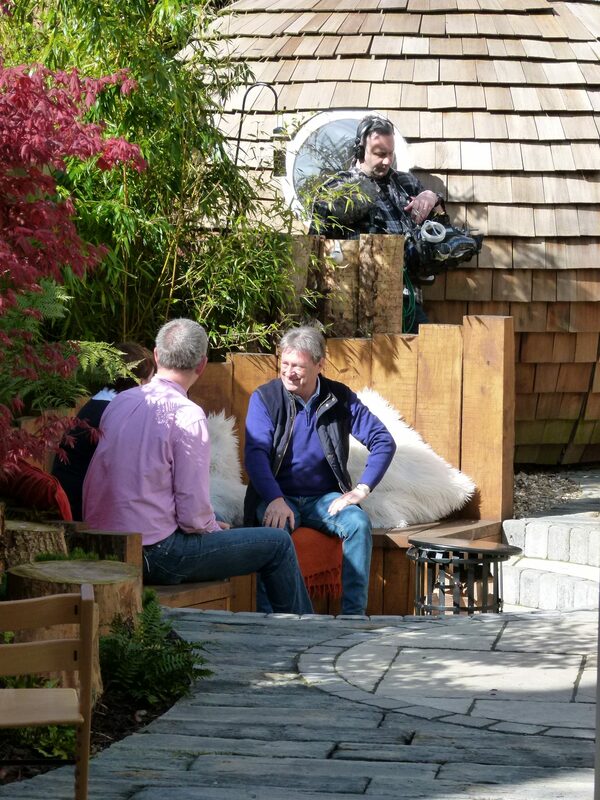 Below are some pictures taken during the day of filming. 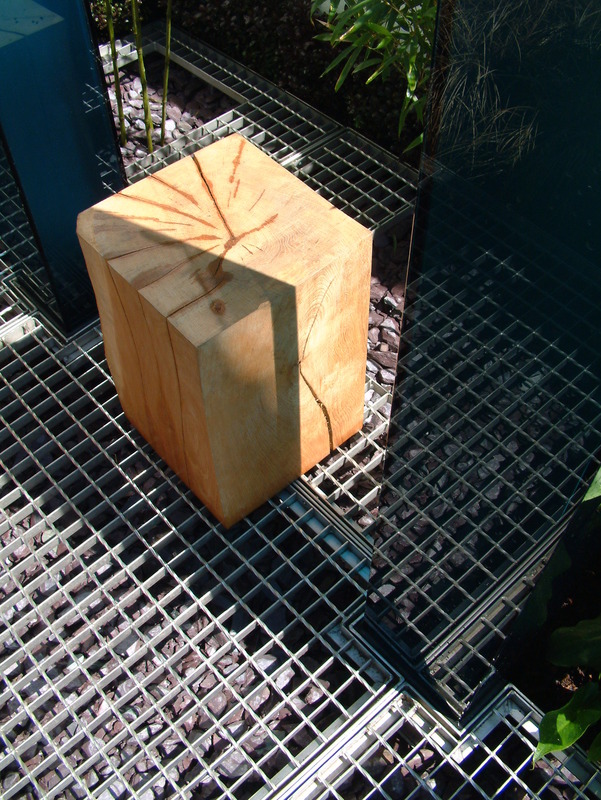 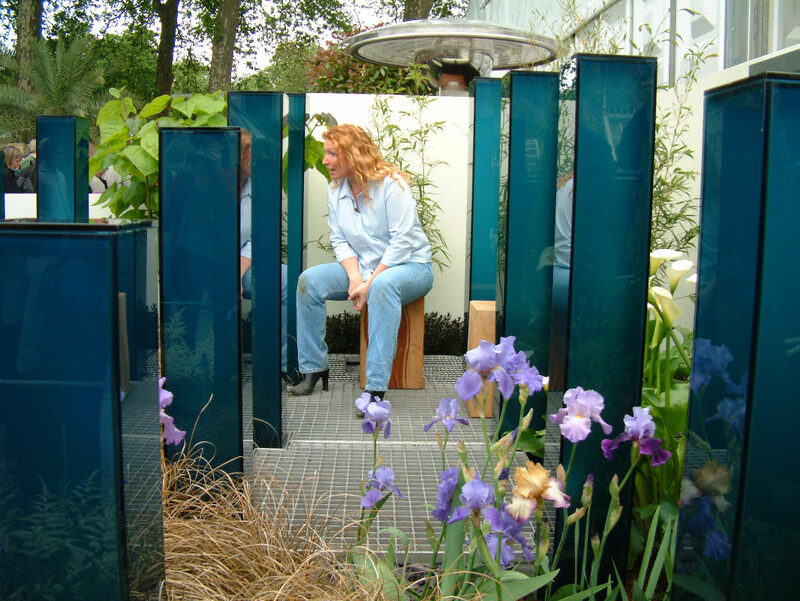 One of the most rewarding ventures we undertook during 2003 was the construction of an award-winning garden for the Chelsea Flower Show, in association with the designers – Landscape Architecture students from Leeds Metropolitan University.Titled ‘Transcendence’ the design in the ‘Chic Garden’ category combined plants with a raised stainless steel walkway and a water wall. 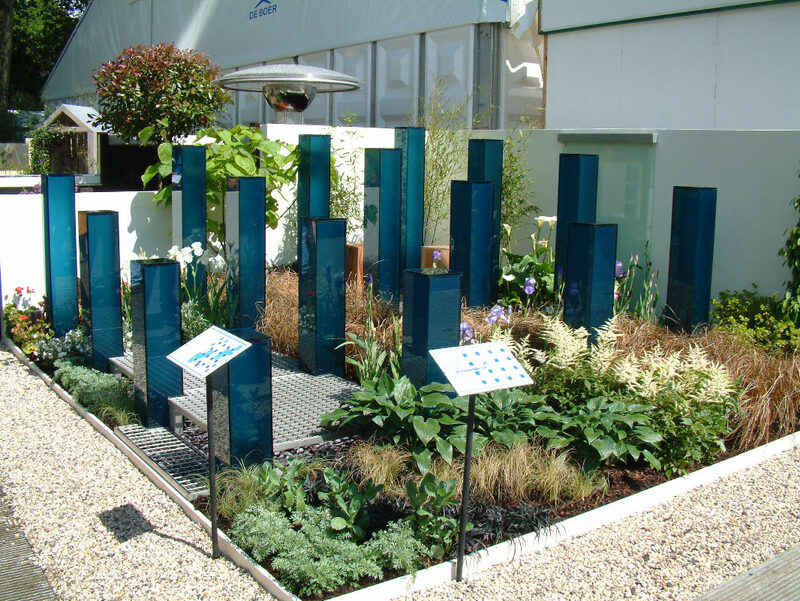 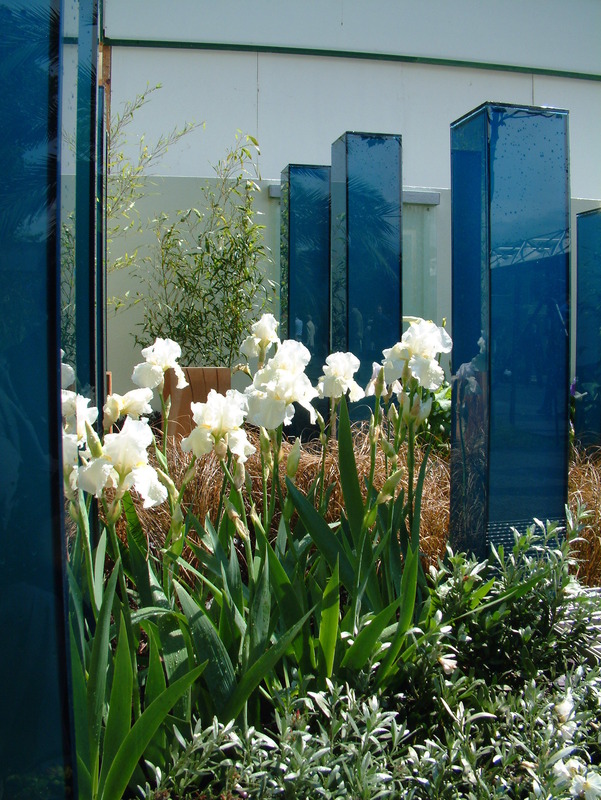 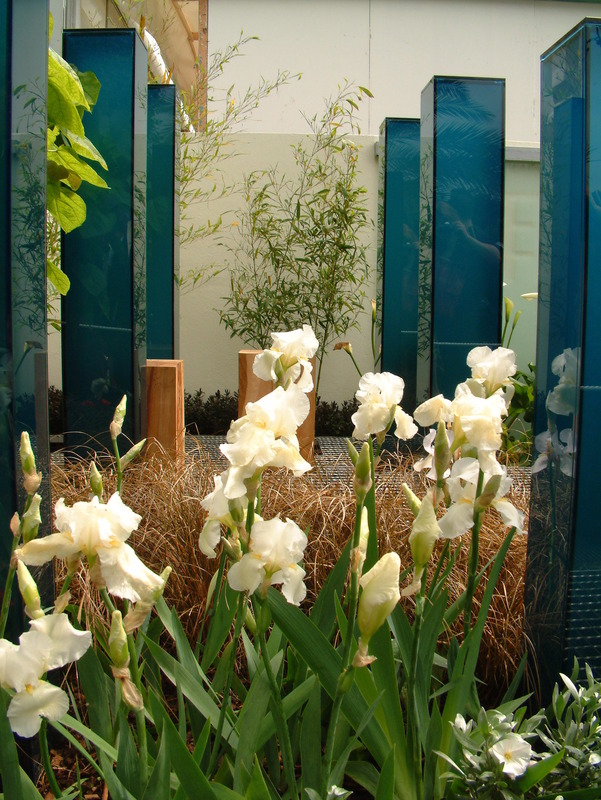 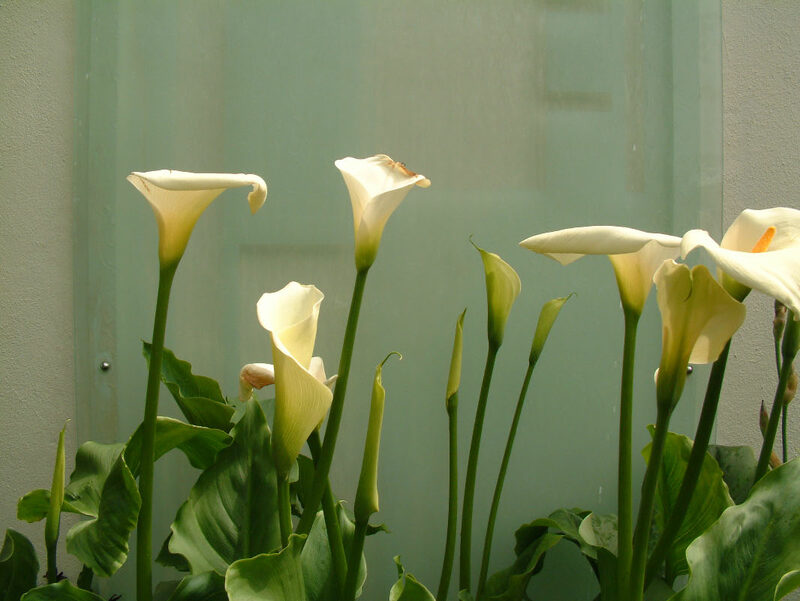 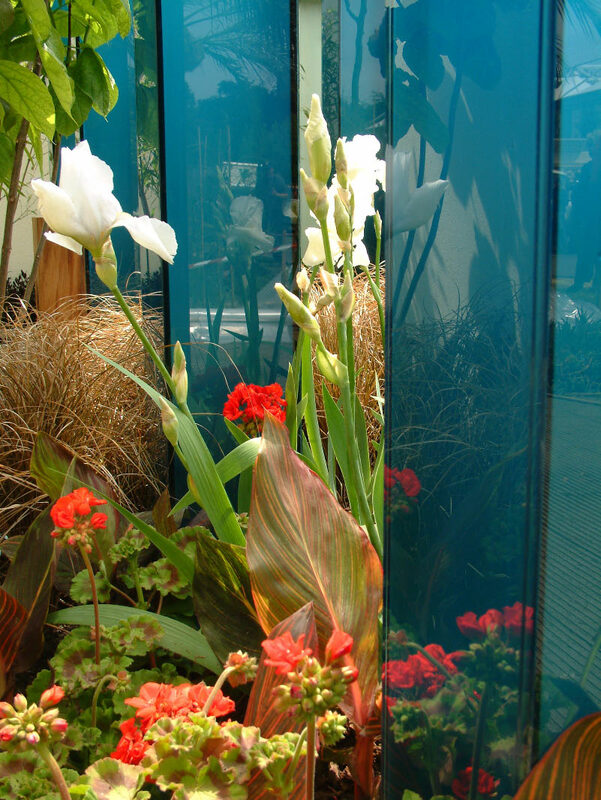 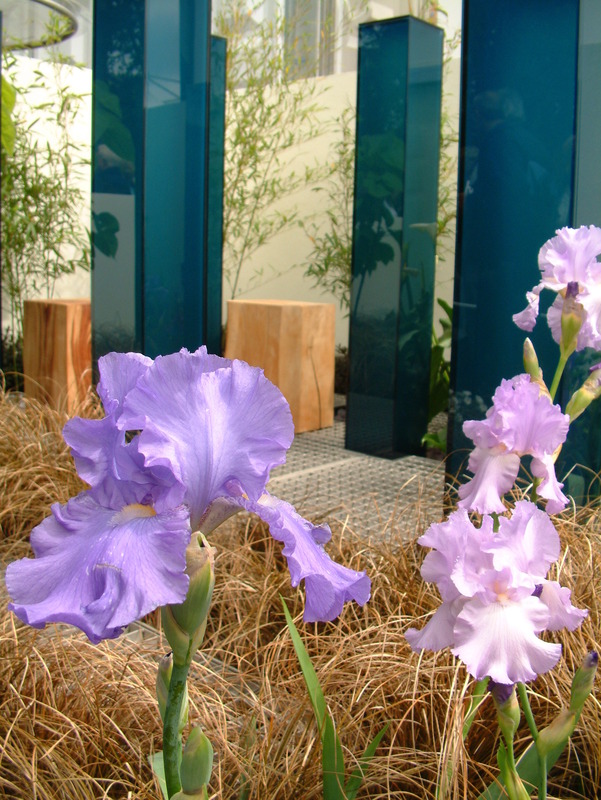 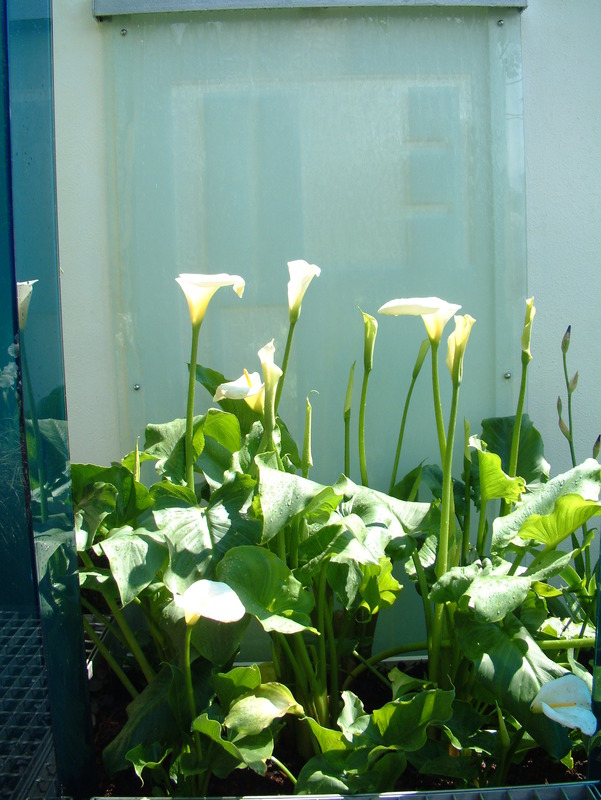 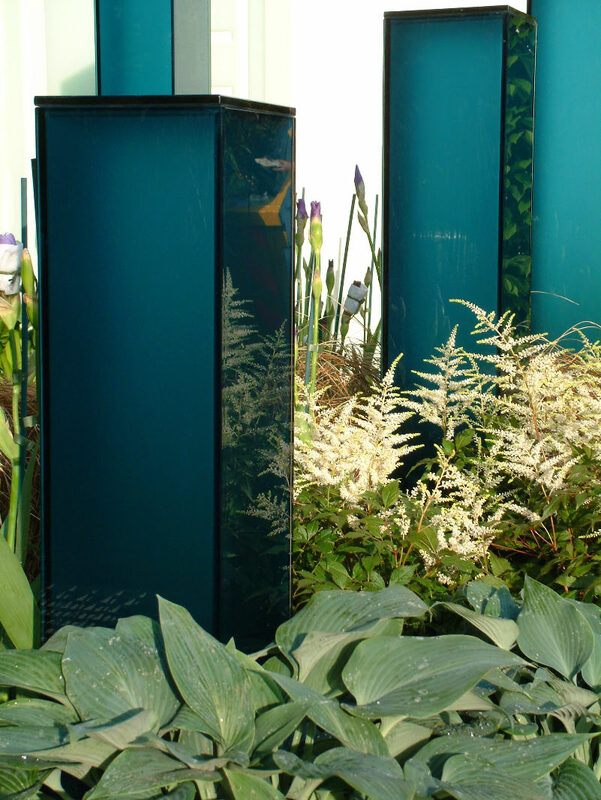 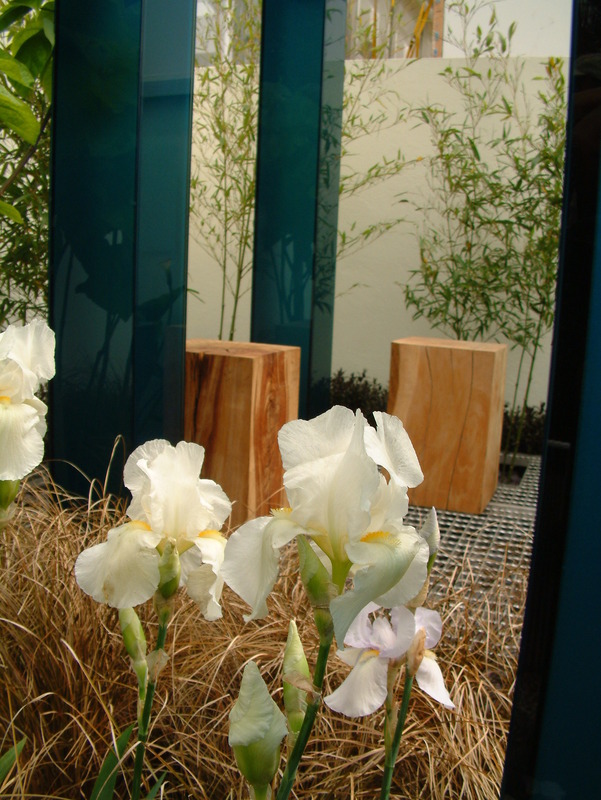 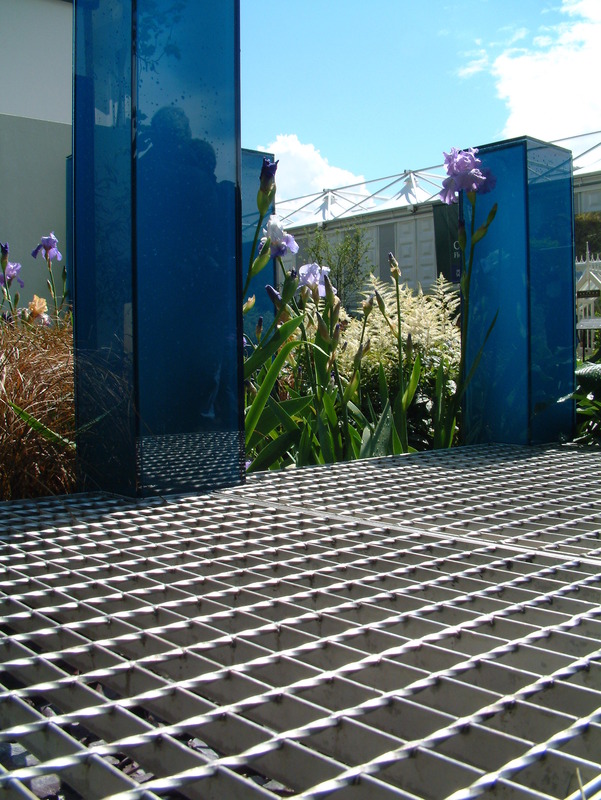 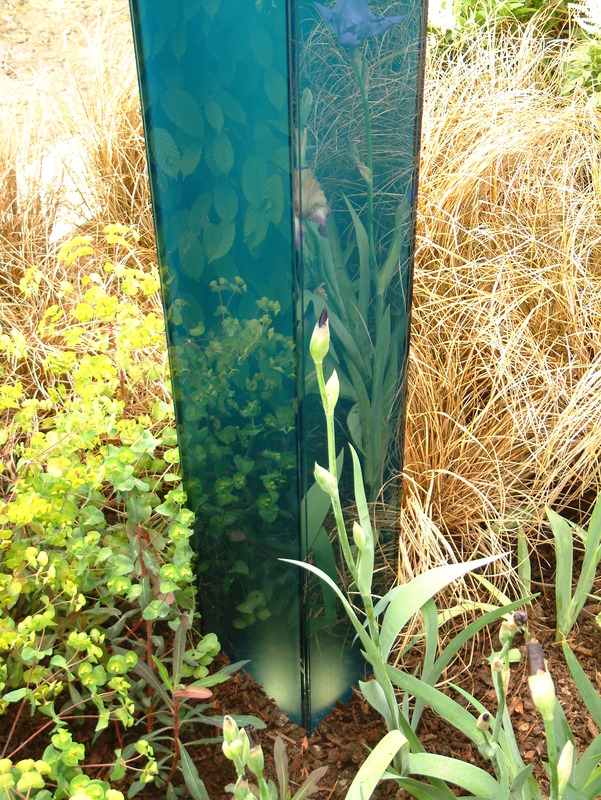 Central focal points in the garden also included glass pillars which could be lit at night.With a Silver-Gilt medal awarded by the judges this was a real achievement for both the designers and Bravo Landscapes in the world’s most prestigious flower show.